When you rely on the flooring specialists at Sequoia Flooring for your hardwood floor replacement services, you won’t regret it. We have the experience and the specialized training to ensure your hardwood flooring is installed correctly to offer your home an organic beauty that is impossible to achieve any other way. There are several reasons why people decide to have their current hardwood floors replaced. Following are some of the major reasons that homeowners decide to replace their hardwood flooring rather than refinish older flooring. Each time you have your hardwood flooring refinished, it loses some thickness as the planks are sanded. The sanding is essential to refinishing, since most homeowners decide to have it done to remove scratches and other dents found on the planks. You can only refinish your hardwood floors so many times before they are so thin that it is impossible to refinish them again. In this case, you will be facing a replacement rather than refinish. Unfortunately, when you experience water damage in your home, it can wreak havoc on your hardwood flooring. If there is any warping that happened to your hardwood flooring, there is no way to repair it. Water damage causes hardwood planks to peel up, have gaps and buckle which is frustrating. Your only option at that point will be to trust the experts at Sequoia Flooring to replace your hardwood flooring. If your hardwood flooring is older, you may not have wide planked flooring. 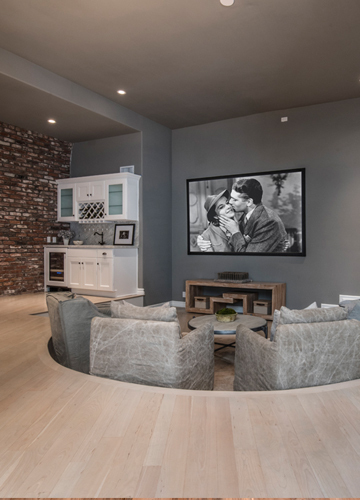 Today, more and more homeowners are leaning toward the current trend to make their home look more modern. Wider planks are a common choice in new builds, and if you are looking for wider planks, you may want to turn to hardwood flooring replacement to get it. On the other hand, perhaps you do have wider planks and would like narrow. When you are choosing the right hardwood for your home, you will see how many different types of wood you can choose from. Not only that, but beyond the type of wood you choose for your flooring, you can also choose different finishes. 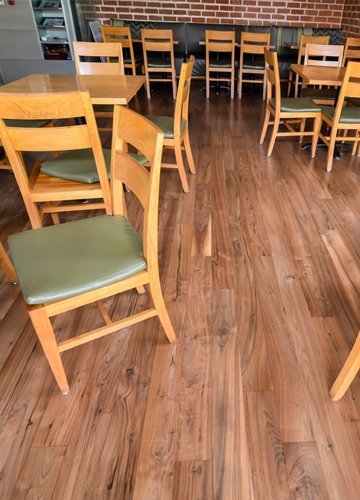 If you are looking for a different type of wood than you currently have, you can trust the flooring experts at Sequoia Flooring to deliver. You may want to have an incredibly hard flooring like bamboo or maple that can offer homeowners a durable choice if they have pets and kids. When you have your hardwood flooring replaced, you want to know that the job is going to be done with precision. 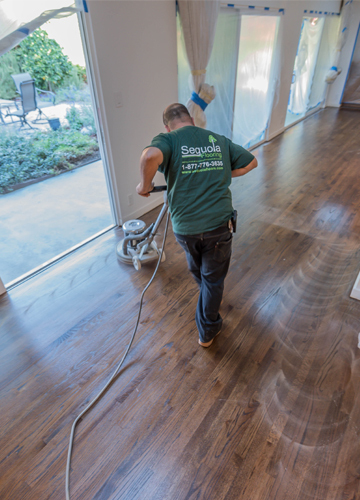 At Sequoia Flooring, we pay close attention to detail so that our customers receive nothing short of excellence when they choose us to replace their hardwood flooring. We have a large selection of choices in hardwood flooring on our design floor and a team of talented design specialists that will help you achieve the look you are after. Call us today! We had Brian do the flooring for our home, it was absolutely amazing work. We had Brian do the flooring for our home, it was absolutely amazing work. From beginning to finish! 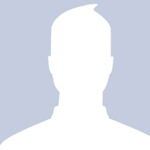 Brian has extraordinary communication skills and worked with us to meet our every near and request. 2 years later, we bought another beautiful home...We are sitting here at the Sequoia flooring store ordering new flooring with Brian for our new home - again! Needless to say, we are extremely excited about our new wood floors to be and pleased that we will be able to work with Brian and his crew again. I highly recommend SEQUOIA FLOORING - for your home or office! 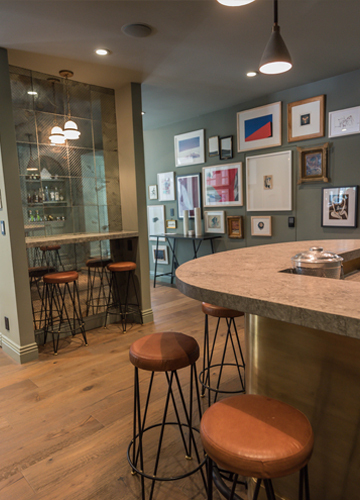 Sequoia Flooring is a licensed and insured Greater Van Nuys, California based hardwood floor company, specializing in sales, installation, staining, repairs, restoration and refinishing of solid, engineered and laminate floors. We have proudly serviced the Greater Los Angeles, CA area for well over a decade.